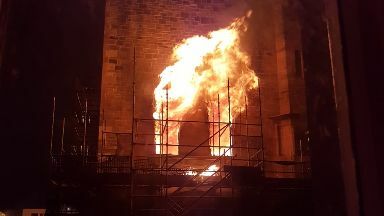 It's been six months since flames gripped the city's iconic Mackintosh building. 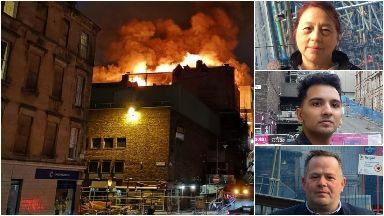 It has been six months since Glasgow's iconic Mackintosh building was devastated by fire for a second time. The huge blaze broke out at the home of the Glasgow School of Art late on Friday, June 15. Parts of the structure have since been demolished and its future remains uncertain. 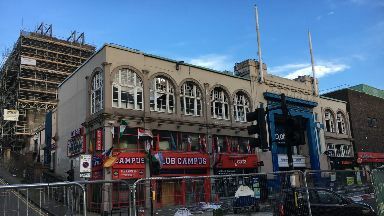 When the flames gripped, it was already in a state of refurbishment following a previous massive fire just four years earlier. STV News has been speaking to those in the community who were directly affected by what has been one of the hardest summers of their lives. Like many residents near the Art School, Angela witnessed both Mackintosh fires, but the blaze on June 15 was of a different scale. She was in her bed, with two young children in her flat on Dalhousie Street, when she realised something was wrong. "I remember there was a bang, then the fire engines, then I looked out the window and I thought, 'uh oh! '," she says. "I ran down the stairs to my neighbour Louise's and I thought 'Louise will know what to do'. "Louise opened the door and I said, 'what should we do? What should we do, Louise? ', and she said, 'about what?'. 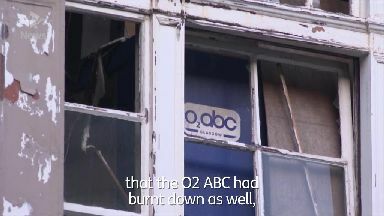 "There's a window over there (opposite her flat) and by the time I got down the stairs the fire was at the back of the window and you could just see it. "But within minutes it rushed to the front and you could feel the heat out of the windows." She and her neighbours gathered together before being evacuated around 2am. Not knowing what to do, Angela checked into a hotel. "I just ran, I had no option but to run and then I had nowhere to go. "I also had to leave the cat behind, I couldn't get her, the two kids and everything out the door. It was frightening." Angela was eventually put up in an apartment in George Square but she would never have imagined it would be three months before she'd be home. "When we got back into the house, it was stinking. I realised that one of my windows in the living room has a tendency to drop if you don't lock it. "I didn't lock it that night so it was open. My curtains were stained black. "But the smell from the fridge and the freezer ... I have photographs of the bluebottles that lined the fridge and the freezer was disgusting." 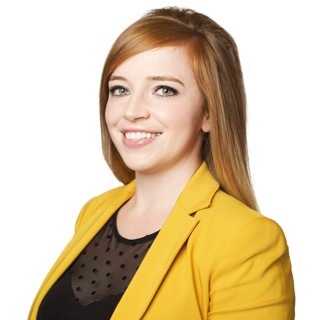 Despite the difficult summer she's had, she's touched with how the community came together. 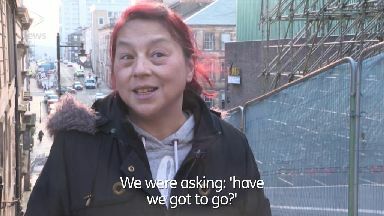 After almost 29 years in Garnethill, she's closer with her neighbours now than ever before. Gavin McGreish has been in business on Sauchiehall Street for 25 years. His bar Campus was damaged in the first Art School fire in 2014, but it was minimal and he managed to get up and running again quickly. This time, however, six months on, he's still not been allowed access. Recalling the fateful night, he says: "I was working in the office and I got a call from a colleague over in Bath Street to say that the Art School was on fire, and I thought 'oh no, not again'. "I casually walked down the stairs, went outside had a wee look, and realised that the art school really was on fire. "I hung around until about half two in the morning and about that time the fire was all but out, from what I could see. "Then I got a text messages at five o'clock in the morning which showed that the ABC had burnt down as well, or the roof was damaged, so obviously that affected our building directly." Loss adjusters have told Gavin there is nothing recoverable inside, but he has been told by building control there's no structural damage. He's managed to keep paying key staff members, with insurance covering his costs. Without knowing when he'll be able to get back up and running he can't make any plans for the future. He says: "There has been times over the last six months when I've come up and looked at the building and really felt quite sad. "But the streets are now starting to take shape with all the Avenues project. "I think there is a future for Sauchiehall Street, and a very good future. I just hope Campus will be a part of it." Between 300 and 400 people were in the club that night. They were forced to evacuate so quickly, jackets have been left inside in the cloakroom. Amir Shafiq, along with his siblings and parents, were evacuated from their home on Dalhousie Street in the early hours of June 15. The 23-year-old realised something was wrong when he heard fire engines close by. "I popped into the main room which faces the building and I saw it glowing orange and I was like 'damn, another fire, damn it'." "You could actually feel the heat of the fire if you stood close to the window. "You could actually feel the heat, you could hear the fire, and you could actually hear some of the debris falling. "The whole building was just eaten by the fire." His family, including two disabled children, were helped out from their flat to an ambulance. From there they were taken to the Mitchell Library where they stayed the night before being moved to a hotel the next morning. It was a combination of many emotions," Amir recalls. "Anger, frustration, just annoyed at the situation because in the first few weeks we didn't have many things with us. "You had to buy new clothes, new underwear, toothbrush, a laptop. "We had to buy everything all over again and I remember in the hotel on that first weekend we spent about £300 on takeaway food because we couldn't cook." The family was eventually put into two temporary flats. They got home at the end of September and were told not to open their fridge, which had been left untouched for three months. The experience has left Amir fed up with those responsible for the building. He says: "I feel like they don't understand what we've been through. There's a big disconnection they're up there and we're down here, we've been hit the hardest." A spokesperson for the GSA said they did communicate with their neighbours, but they accept they could have done more. They're now looking to the future, working with the community moving forward.